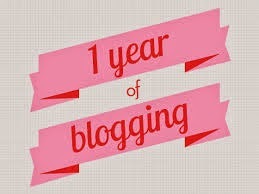 What I've learned, one year later... a blogiversary! Caution: You may want to grab a cup of coffee because today's post is very, very long. One year ago today, I hit the "publish" button on my very first post without any real thought about where this blogging journey would lead. I was just excited to share design inspiration, ideas, and tips related to anything and everything interior design. Since we are in renovation mode, the blog also became a natural outlet for me to document our home renovation journey - all the trials and triumphs. 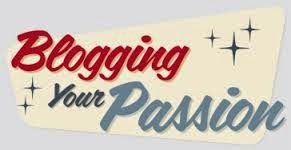 With a year under my design blogging belt, I can tell you that I have the utmost respect for bloggers who have successfully been on this journey for years - like nearly a decade! 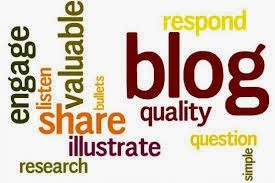 Writing post after post of original, inspiring content filled with authentic and valuable information takes commitment, effort, creativity, diligence, and many, many, many hours/days/weeks of research and time. I quickly learned that successful bloggers put in time and work - a lot of it! They don't just regurgitate information. I've stumbled upon many blogs that just didn't strike accord, while others keep me coming back to their sites. My hope for this blog is definitely the latter. To accomplish that, it is important that I continually strive to publish "quality" content in my own authentic voice. When I started this blog, my goals were straightforward: 1) introduce my "design voice" to anyone willing to listen, 2) share what inspires me design-wise while providing tips along the way, 3) document our home renovation so we can look back and appreciate the journey of making this house our home, and 4) reach out to those who may need assistance with designing and decorating their homes. Yes, this blog complements my design services. It was always meant to. 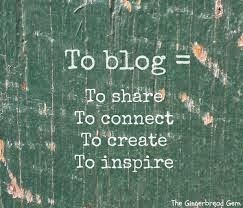 But I continue to dedicate time to blog because I enjoy sharing and inspiring. This blog is my virtual little corner to freely share my designs, projects, ideas, and tips to hopefully inspire all of you. I don't blog with the intent to make an income. Trust me. There is no financial compensation for the hours and time spent producing content. You must truly be passionate about what you're blogging about and not do this with the intent of making money... although any income stream would be welcome, let's not kid ourselves! How hard can it be to blog? Well, it's easy to get started from a literal standpoint, but it's not easy to keep going and stay motivated. Being a newer design blogger is not easy...whatsoever...don't fool yourself or be fooled. One of the biggest challenges, if not the largest, is gaining and growing a readership, especially when you are late to the party. When I started blogging, I literally jumped right in without doing any research about how the whole blogging thing worked. BIG OOPS! I can be spontaneous like that. I hadn't even read a single design blog until this past year. BIGGER OOPS! I can be an idiot crazy like that. A big lesson I learned, however, was that I should have corralled some of that enthusiasm and did my research. If I had known how evolved the design blogging world was, I honestly would have been more methodical about how I launched this blog. But you know what?! Without that naive enthusiasm, I probably would have never hit the "publish" button that very first time... Fortunately, it is working out okay so far. But I am still getting up to speed, learning how to navigate around this humbling journey, and fine-tuning my process along the way! I've learned several things in my first year of blogging that I would have never learned if I didn't get started. 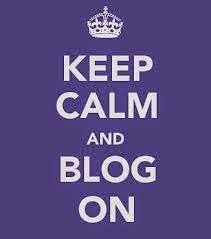 So, if you are considering blogging, the first step is to GET STARTED!! !